MMR IT – Partnering for VPLS connection services - Exponential-e Ltd.
MMR IT have over 17 years’ experience delivering complex networking and telecommunication solutions, predominantly within the London city region and serve a variety of professional industry sectors. An effective referral relationship with MMR IT, enables the successful implementation of a disaster recovery project. Working with Exponential-e on a referral basis, MMR IT act as an agent and refer clients to Exponential-e to deliver the complete connectivity element of their required solution. On this particular occasion Exponential-e delivered a 10Mbps connections between MMR IT’s data centre and their client’s premises. With over 17 years experience delivering complex networking and telecommunication solutions, MMR IT have gained a strong reputation, predominantly within the London City region amongst Legal and Finance firms. With the ability to support organisations with everything from technology solution design and provisioning to complete install and on-going support, MMR IT’s aim is to supply a complete consultancy service which remains tailored to each customer. A private hedge fund, a loyal client of MMR IT, approached the business after a period of consistent growth, with a requirement for improving their back up and disaster recovery resource. Resiliency was a critical requirement for the project because of the sensitive nature of their own client’s data. MMR IT own their own data centre through which they deliver a disaster recovery service. They do not directly supply the connectivity required to implement the service so require a networking partner with some particular requirements including strong UK coverage and private connectivity to be available with proven high resiliency. On this particular occasion Exponential-e supplied a 10Meg connection between MMR IT’s data centre and their clients premises. With a dedicated Exponential-e Account Manager, MMR IT and their hedge fund client were continuously kept up to date with all aspects of the project, from planning a site survey to provisioning equipment and estimating a delivery date. It was paramount to the relationship that all were aware of each element and all were kept up to date during each stage to avoid frustration and poor service standards. With a Virtual Private LAN Service (VPLS) connection in place connecting the hedge fund directly, securely and privately to MMR IT’s data centre, it was MMR who then delivered a replica server and the upgraded back up and disaster recovery service was complete. Exponential-e billed the hedge fund client directly whilst paying MMR IT a referral fee which equated to a percentage of the contracted project. Once the connection is made it’s then very easy for the connection to be upgraded and for further converged services to be delivered through MMR IT, Exponential-e or even a third party. This provides MMR IT with on-going margin potential as their client continues to expand, so will the needs of their IT infrastructure. Working with Exponential-e on a referral basis allows MMR IT to focus on delivering an expert, tailored consultancy service whilst offering an extended product portfolio without being directly involved in the network delivery. Instead they can entrust Exponential-e to liaise and manage the complete end-to-end service delivery of a particular networking project. 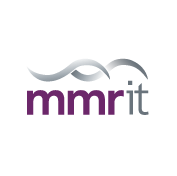 Enabling MMR IT to offer a comprehensive product and service range whilst concentrating on delivering their own disaster recovery, consultancy and managed service elements. Clive Clarke, IT Business Consultant explains, "Having worked with Exponential-e for almost three years we have formed an excellent referral relationship in that time. Exponential-e has delivered over six projects for our clients during 2012 and we have no doubts about their Account Management and service delivery skills. The main factor for us is that we can trust Exponential-e when dealing directly with our customer base. Exponential-e has always been very transparent with their commitments with nothing but praise from our end users. I am looking forward to a new year where we are looking to expand the services we can offer to our clients delivered by Exponential-e."
By working with MMR IT end-users directly, this highlights the trust element of the business relationship between them and Exponential-e. Their client’s personal experience with Exponential-e will have a direct reflection on MMR IT as their chosen IT consultancy. It is imperative their clients receive outstanding service and that the network is delivered in a timely fashion and at a suitable and competitive price to deliver a reliable service from both Exponential-e and MMR IT. MMR IT, the managed service provider successfully delivered a disaster recovery and back-up service to a loyal and longstanding private Hedgfund client. MMR IT referred their client directly to Exponential-e who managed the complete delivery of a Virtual, Private LAN Service (VPLS) connection between MMR IT’s data centre and their clients premises. This project earned MMR IT a referral fee, enabled them to deliver a complete solution without the need to manage the network delivery element of the project. "Exponential-e has always been very transparent with their commitments with nothing but praise from our end users."